U.S. bombers fly off North Korea’s coast – North Korea Holds Large Open Air Rally – Coercion Code – "Dark Times are upon us"
WASHINGTON (Reuters) – U.S. Air Force B-1B Lancer bombers escorted by fighter jets flew in international airspace over waters east of North Korea on Saturday, in a show of force the Pentagon said demonstrated the range of military options available to President Donald Trump. The flight, which was disclosed shortly before North Korea’s foreign minister was due to address the United Nations, was the farthest north of the demilitarized zone separating North and South Korea that any U.S. fighter jet or bomber has flown in the 21st century, the Pentagon said. 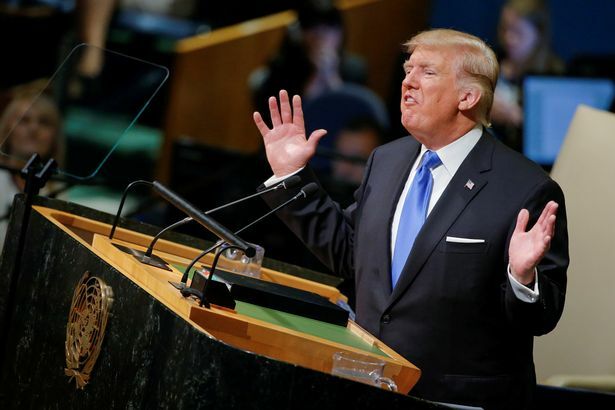 Donald Trump has threatened to “totally destroy” North Korea, in a bellicose first address to the United Nations general assembly in which he lashed out at a litany of US adversaries and called on “righteous” countries to confront them. The speech was greeted in the UN chamber mostly with silence and occasional outbreaks of disapproving murmurs, as Trump castigated a succession of hostile regimes. In an address heavy with echoes of George W Bush’s “Axis of Evil” State of the Union address more than 15 years earlier, Trump said: “The scourge of our planet today are a small group of rogue regimes. “If the righteous many do not confront the wicked few, then evil will triumph,” the president said. 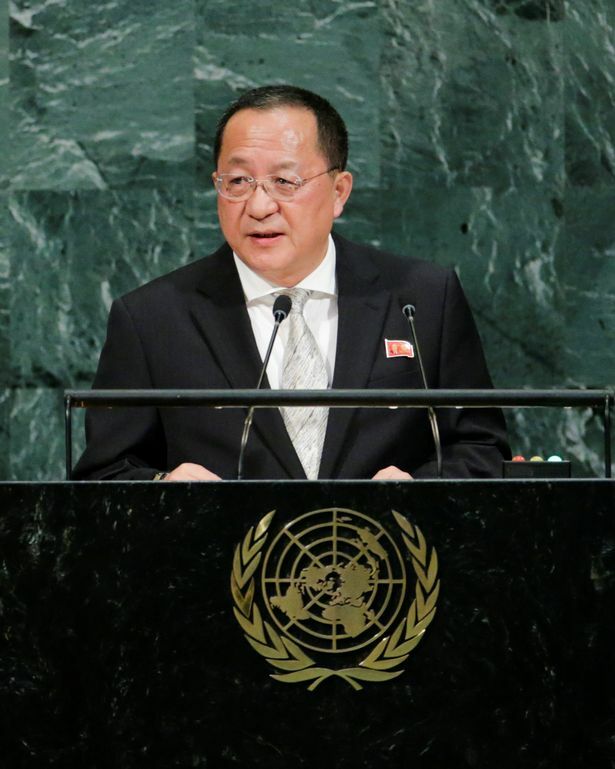 He first singled out North Korea, recounting its history of kidnapping, oppression, and missile and nuclear tests. 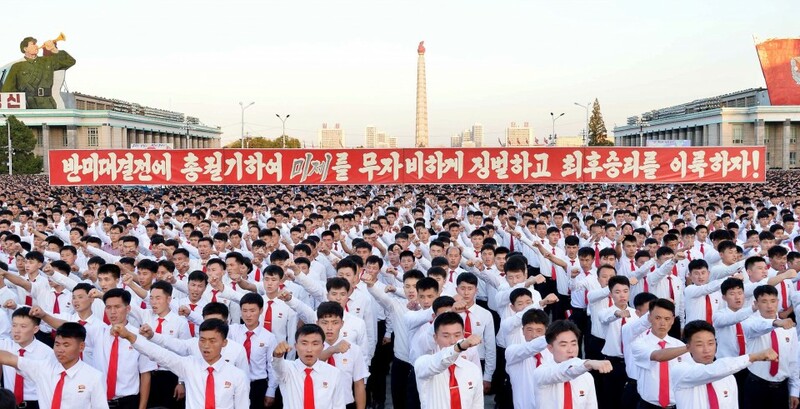 North Korea staged a mass rally in the heart of its capital on Saturday to hail leader Kim Jong Un’s pledge to fight against U.S. President Donald Trump. About 100,000 people packed Pyongyang’s Kim Il Sung Square in the late afternoon in a show of support for Kim’s statement vowing to have Trump “pay dearly” for his recent U.N. speech. 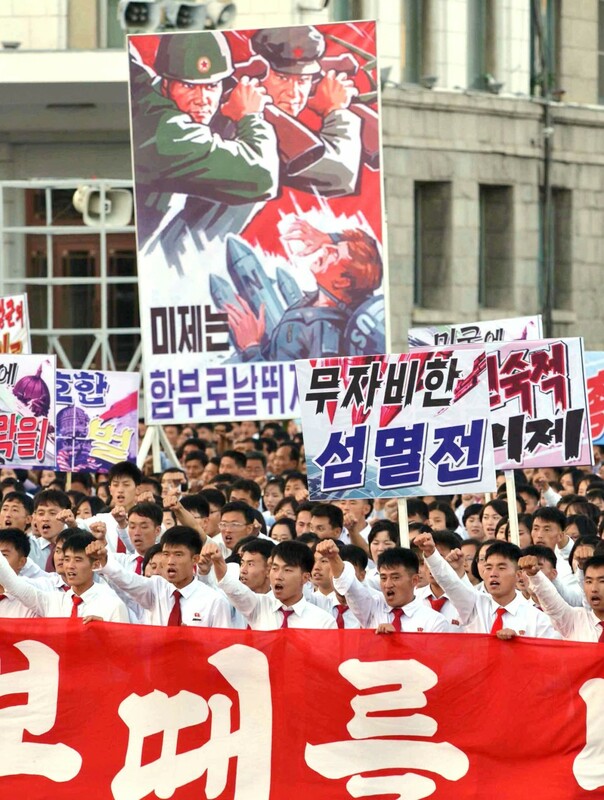 The statement was read out during the rally and the participants, including senior members of the Workers’ Party of Korea, called for retaliatory measures against the United States. “It is really idiotic if the U.S. president thought that he could shock us with such nonsensical remarks,” Kim Yong Il, 29, a university student, told Kyodo News. The ruling party and its military also held similar rallies on Friday, when Kim’s statement was reported by the country’s official media. The extraordinary statement has raised fears that North Korea could conduct yet another major weapons test in the days ahead. But a number of North Korea watchers have pointed out that Kim’s use of the words “consider with seriousness” suggest that his country’s next action may be conditional, depending on Trump’s future stance. The international community has already condemned North Korea multiple times for its flurry of nuclear and missile tests. Still, Trump’s recent inflammatory and forthright comments on North Korea only escalated tensions. In his conclusion to the statement, Kim, in return, said he will “definitely tame the mentally deranged U.S. dotard with fire,” referring to Trump. The rhetorical combat continues as many other countries are concerned about potentially more serious consequences as North Korea quickens the pace of developing a nuclear-tipped intercontinental ballistic missile.